Waking up in the middle of the night with your clothes and sheets drenched in sweat can be alarming and uncomfortable. Should you be concerned about your health if you’re experiencing night sweats? You might be asking how to stop night sweats naturally, and wondering if you should see a doctor. If you’re dealing with night sweats, you want answers to these questions. But first, you need to understand what causes night sweats in the first place. If you’re experiencing excessive sweating at night, there are several possible reasons. Your sleeping environment is too hot. You are sleeping under excessive blankets and duvets. You ate spicy food before bed. You exercised right before bed. Now, the simple reasons are pretty straightforward, and they may well be behind your night sweating. But let’s take a better look at some of the more medical-based reasons why you might be experiencing nighttime sweating. What Causes Menopausal Night Sweats? When women suddenly experience a sensation of heat, followed by excessive sweating, it’s known as a hot flash. The sensations are caused by increased blood flow – the result of the sudden opening of the blood vessels close to the skin. Sometimes, hot flashes even cause mild heart palpitations. In addition to hot flashes, menopausal women may also experience severe night sweats. This sweating is completely normal, and it’s one of the most common symptoms of menopause. Interestingly, recent research compares hot flashes and night sweats to drug withdrawal symptoms in an addict. The body is literally suffering from “estrogen withdrawal” when these hot flashes occur, be it during the day or night. 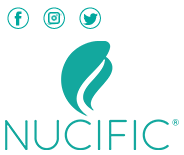 As your ovaries age, they are no longer able to regulate hormones like testosterone, estrogen, and progesterone. Estrogen levels, in particular, drop significantly. How Does Hormone Imbalance Lead to Hot Flashes? Now, a hormone imbalance is often at the root of vasomotor symptoms like hot flashes, night sweats, and flushing. Because of this, you could experience them with any condition that involves your hormone-producing glands, or your endocrine system, being out of balance. Hyperhidrosis quite literally means too much (hyper) sweating (hidrosis). It is a chronic condition of the sweat glands. While everyone sweats a certain amount, those with hyperhidrosis sweat excessively, often on their palms, feet, head, or underarms. And yes, hyperhidrosis can also cause night sweats. If someone has hyperhidrosis, it may be caused by a medical condition or by medications, but it can also be just plain genetics. Some men and women sweat a lot more than others, even when they’re not hot. Are Severe Night Sweat Episodes Symptoms of Underlying Conditions? Aside from hormonal conditions, other underlying health conditions might also cause excessive sweating at night. How about heart disease? If you suspect that you may have a heart condition and you’re suffering from night sweats, you should definitely see your doctor for an expert opinion. How Can Natural Therapy and Herbs Mitigate Night Sweats? Now, the question you’re no doubt asking is, “How do I stop these night sweats? !” Well, the truth is, you may not be able to entirely, depending on the cause. For example, night sweats are a very common symptom for menopausal women. So, it’s best to avoid all of these a few hours before bedtime. If you’re struggling with night sweats, consider wearing lighter clothing to bed. Also, avoid having too many layers of heavy blankets. And stick to cotton and silk PJs and sheets – these are the best fabrics to help you stay cool, as both breathe well. If you’re struggling to manage elevated stress levels, whether from menopause or for some other reason, you might want to consider taking up yoga or meditation practice. Meditating right before bed might prove especially helpful if you have night sweats. Studies have shown that acupuncture therapy may help in the relief of night sweats. One particular study followed over 200 women aged 45 to 60 who’d had at least four hot flashes or night sweats per day in the weeks previous. Get moving! Even though exercise may make you hot and sweaty (as it does for everyone), it may actually help to reduce the number and intensity of hot flashes.11 Reducing the intensity of your hot flashes might help alleviate your night sweats. You can start small, too. Add a daily walk to your routine, take up yoga at home, or join a friendly gym. The important thing is to exercise in some way. 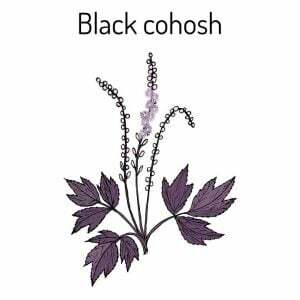 Black cohosh has received a lot of attention for its potential effects as an herbal remedy to treat hot flashes. This plant is a member of the buttercup family, and its root, or rhizome (underground stem), is what’s used in supplements. While on the topic of herbs, red clover is another herbal remedy that some postmenopausal women believe has helped with their symptoms. If you’re suffering from night sweats regularly, talk to your doctor. They’ll be able to tell you about any potential risks of medications, herbal supplements, or vitamins that you may be interested in taking. If you’re menopausal, they can also advise you on the risks and benefits of hormone replacement therapy (HRT). Just remember, if your night sweats are being caused by menopause, you’re in good company. Every woman on Earth will go through menopause in their lifetime. Waking up soaked in sweat is never pleasant, but there are some things you can do to stay dry and comfortable throughout the night.